This session will examine best practices for supporting and accommodating trans students in an independent school setting. The session will review the definitions of gender identity and gender expression under the Ontario Human Rights Code and will discuss steps that schools should take to make students feel accepted and included. The session will examine a range of relevant issues including use of washrooms, gym class, sports teams, school trips and classrooms and will review the nature of the accommodation process. Stephanie Young is an associate in the Toronto office of BLG. She practices in both the Labour and Employment Group and the Insurance and Tort Liability Group. 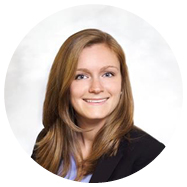 Stephanie was a summer student and an articling student at BLG before joining the Firm as an associate in 2013.